FMIC warrants this Jackson brand instrument to be free from defects in materials and workmanship for as long as it is owned by the original retail purchaser, except that pickups, switches, jacks, controls, all other electronic components, tuning machines, hardware, pickguards, plated surfaces, gig bags, cases and case hardware are warranted for a period of one (1) year from the date of original purchase. 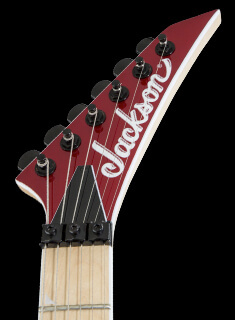 This warranty applies only to the original retail purchaser when this instrument is purchased from an Authorized Jackson Dealer and is subject to the limitations set forth herein. IMPORTANT: PLEASE RETAIN YOUR ORIGINAL SALES RECEIPT, AS IT IS YOUR PROOF OF PURCHASE VALIDATING THIS LIMITED WARRANTY. FMIC has established a network of independent Authorized Service Centers for warranty service. The Jackson Dealer from whom you purchased your instrument may also be authorized for warranty service and should be the first point of contact when service of any kind is required for your Jackson instrument. To receive warranty service, return the complete instrument to an Authorized FMIC Service Center, with your sales receipt as proof of purchase, during the applicable warranty period. Defective components that qualify for coverage under this warranty will be repaired or replaced (at FMIC's discretion) without charge. Remedies beyond normal service repair of any Jackson instrument require both an evaluation and confirmation of the defect and a direct recommendation to FMIC from an Authorized FMIC Service Center for alternative considerations. 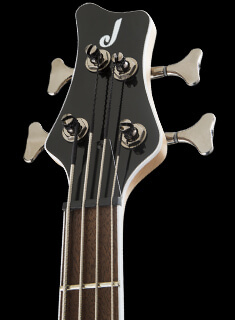 All transportation, insurance and freight charges associated with warranty service and repairs on Jackson instruments are the responsibility of the purchaser, as is any service initiated for the purpose of customizing setups or adjustments beyond factory specifications. Initial standard setup and adjustment of the instrument and its components at the time of purchase are considered normal Dealer product preparation, and are not covered by this warranty. Damage to finishes or cracks, splitting, or warpage of wood due to changes in temperature or humidity, exposure to or contact with sun, fire, moisture, body salts and acids of perspiration, guitar straps, guitar stands/hangers made from vinyl, plastic, rubber or other synthetic materials, any other chemicals or non- FMIC -approved polishes. Damage, corrosi on or rusting of any hardware components caused by humidity, salty air, or exposure to the moisture, body salts and acids of perspiration. 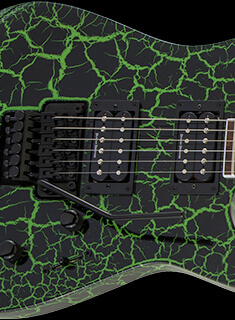 Any instrument purchased from anyone other than an Authorized Jackson® Dealer. Instruments that have been serviced by unauthorized persons (any person other than a FMIC Certified Technician at an Authorized FMIC Service Center). THE FOREGOING CONSTITUTES THE ONLY WARRANTY MADE BY FMIC WITH RESPECT TO THE PRODUCTS AND IS MADE EXPRESSLY IN LIEU OF ALL OTHER WARRANTIES EXPRESS OR IMPLIED. Any implied warranties, including without limitation, any implied warranties of merchantability or fitness for any particular purpose, imposed under state law are limited to the duration of this limited warranty. Some states do not allow limitations on how long an implied warranty lasts, so the above limitations may not be applicable to you. FMIC ASSUMES NO LIABILITY FOR PROPERTY DAMAGE RESULTING FROM FAILURE OF THIS PRODUCT NOR ANY LOSS OF INCOME, SATISFACTION, OR DAMAGES ARISING FROM THE LOSS OF USE OF SAME DUE TO DEFECTS OR AVAILABILITY OF SAME DURING SERVICE. 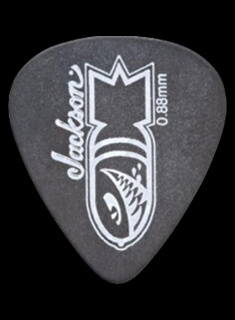 NOTE: This warranty applies only to Jackson instruments manufactured after January 1, 2000 and purchased and serviced within the U.S.A. and Canada. Warranties outside these countries are as defined by the authorized FMIC/Jackson Distributor for your country or region, and may vary from the above in terms and/or length.